LET’S EMBRACE THE COLD WEATHER TOGETHER. 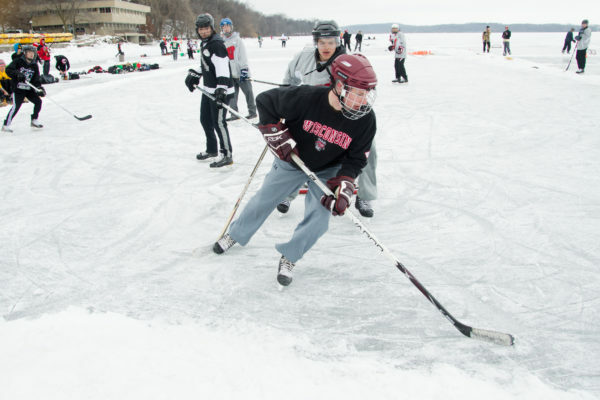 Whether you’ve never stood on a frozen lake before or you were practically born on ice, pond hockey seems to have a certain allure to most people. 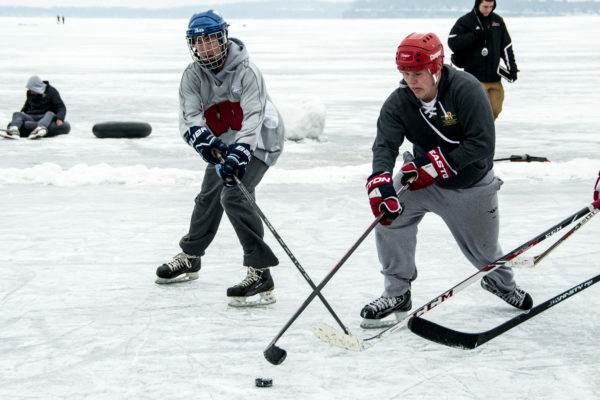 Whether it’s due to the simplicity of the game, its modest beginnings, or maybe its deep connection to nature, pond hockey evokes primal emotions that are unparalleled in other sports. Unfortunately, the 2019 Connolly Classic is cancelled. Due to extreme temperatures, we are unable to make the ice rinks necessary for the tournament. For years before the event’s eventual inception, PJ Connolly was one of many students expressing desire for an outdoor hockey tournament. During his senior year and as an employee of Rec Sports, Connolly decided to do something about it. He and cofounder Josiah Zanghi organized meetings with Rec Sports and Wisconsin Hoofers, planned every detail of the tournament, and created the rinks. 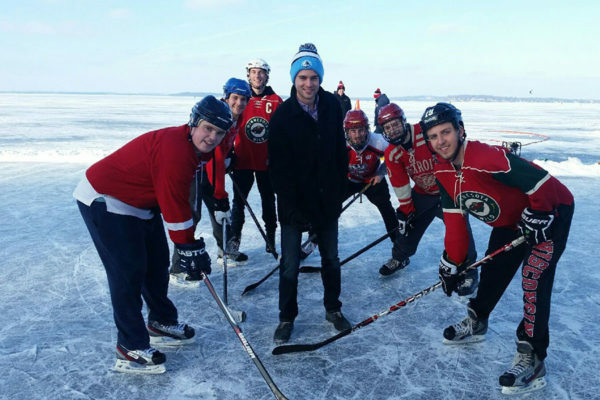 The first annual Connolly Classic was held on February 8 and 9, 2014. Year after year, the tournament continues to grow into Connolly’s and Zanghi’s vision. The 2016 Connolly Classic hosted 15 teams in five different “divisions”, each with its own round-robin play. The event culminated in an inter-division playoff bracket with one winner crowned at the end.